It's hard to remember when in the midst of one, but terrorism campaigns do always end. 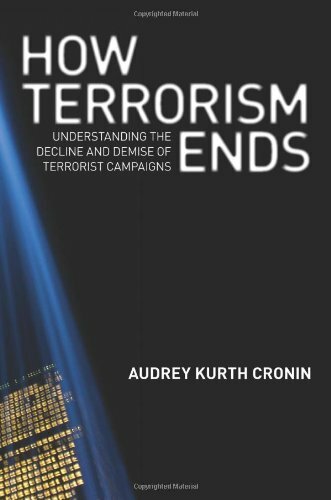 Audrey Kurth Cronin, author of How Terrorism Ends, recommends the best books on terrorism. 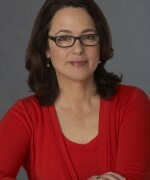 Audrey Kurth Cronin is a Professor at the School of International Service, American University. 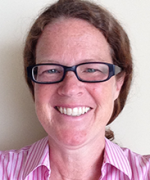 Her career has combined both academic positions and government service. She is the author of How Terrorism Ends. Your own book, How Terrorism Ends, opens with the line, “Terrorism campaigns may seem endless, but they always end. Why?” Can you tell us, briefly, the answer to that question? Terrorism is an ancient phenomenon and, at its heart, a weak tactic. Although we have faced some long-lived groups in recent years, the average age of a terrorist group is about eight years. My research demonstrates that there are six classic patterns of endings for a group. They are: decapitation, negotiation, success, failure, repression and reorientation. These six patterns (which are sometimes combined) hold with them the best insights into which strategies succeed, which fail, and why. The best way to develop effective counterterrorism is to analyze which pattern fits a group and then take actions that help to bring about that end. How could that be applied to ISIS? Everyone compares ISIS to Al Qaeda, and of course there are common roots. ISIS emerged out of Al Qaeda in Iraq. But in its behavior, ISIS appears to me more like the GIA in Algeria, which used horrifying, polarizing violence during the 1990s to intimidate the local population, demonstrate strength, and gain territory. The GIA beheaded large numbers of journalists, for example, and slaughtered Jews, Christians, and moderate Muslims. During their campaign, acts of terrorism devolved into full-scale conventional war. At least 120,000 people died. This was an experience that Al Qaeda actually warned of and decried. ISIS will likely end through a conventional military response by local and regional forces (i.e. repression) combined with deep repulsion and backlash to their brutality among their purported target audience (i.e. failure). 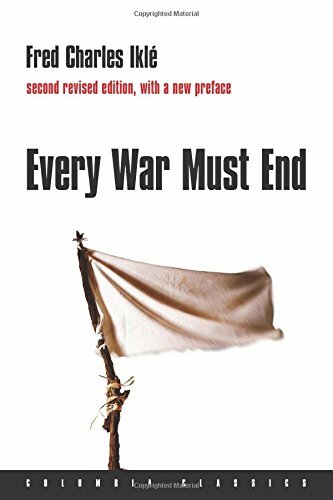 Your first book is Every War Must End, by Fred Charles Iklé. Iklé’s book is a classic from the 1970s, written during the Vietnam War at a time of agonizing reappraisal in the US, with tens of thousands dying and no concept of how to bring the conflict to a close. But in the original edition he never actually mentions that war. Instead, he uses a rich selection of examples from earlier history, including the First and Second World Wars and the Korean War, arranged thematically to explore common challenges in bringing wars to an end. What kind of answers does he come up with? His central argument is that how a war ends is vital to its long-term impact upon the world – yet it is difficult for governments to be objective once there has been a great deal of violence. Iklé uses numerous historical examples to explain common problems. Policy-makers often succumb to wishful thinking, biased estimates, ideological dogma, and bureaucratic in-fighting, failing to think strategically in the midst of a fight. Our very human capacity to judge costs and benefits is distorted by the passions and sacrifices of an ongoing war. But if we are to act wisely we must consciously envision the endgame so as to craft a long-lasting political outcome that serves the interests of the state and its people. So the book looks at how important it is to remember that how you end a war is more momentous than what is happening in the midst of it. 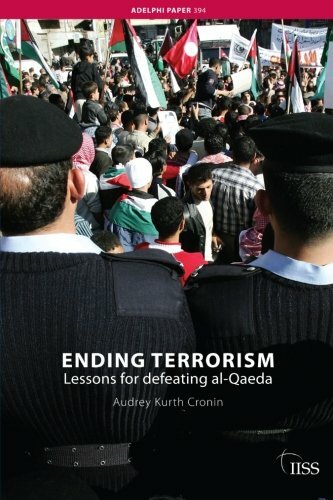 How does this book relate to your own work on terrorism? The book is a kind of intellectual godfather to the research I have tried to do on the endings of terrorist campaigns. His argument—that in the middle of a passionate and difficult situation, we need to think about the longer-term outcome—is directly relevant to the action and reaction pattern that can unfold in the middle of a terrorist campaign. There isn’t anything worse than the tragedy of innocent noncombatants being killed in a symbolic way just to highlight a political message. I believe that Iklé’s argument applies directly to the horrifying violence that terrorism is designed to be. I should also add that I worked for Iklé early in my career, writing strategic documents in the Pentagon for a short time, so while he might not necessarily have agreed with my writings, I have been thinking about the lessons of his book for a long time. 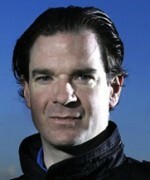 Your next book is the classic A Savage War of Peace, by Alistair Horne. This is a brilliant book, possibly one of the best written in the 20th century. It’s about the Algerian War for Independence, a very violent case study. Horne crafts it into a rare combination of an excellent detailed historical book about a war that also brings along a thought-provoking and timeless strategic perspective. Although originally written in the early 1970s, its themes are directly relevant to today’s challenges, including the ethics of torture, the power of popular ideas, and the fraught relationship between military victory and political outcome. The French engaged in brilliant counter-insurgency tactics and militarily defeated the FLN (or Front de Libération Nationale) especially following the Battle of Algiers, yet France lost the war. Why? Horne is masterful in answering that question, making the complex very simple. 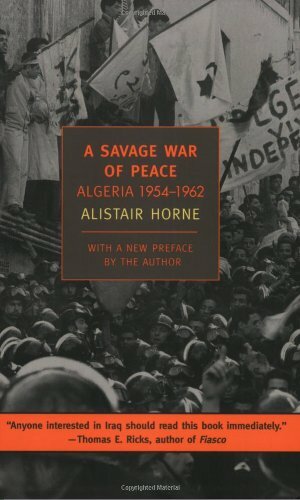 He explains not just what was happening on the ground in Algeria—there are a number of other good books that do that—but also opens the lens to encompass political instability in continental France, sanctuary in Tunisia and Morocco, Arab nationalism in the region, pressure from other major powers, and even the vital role of the United Nations. 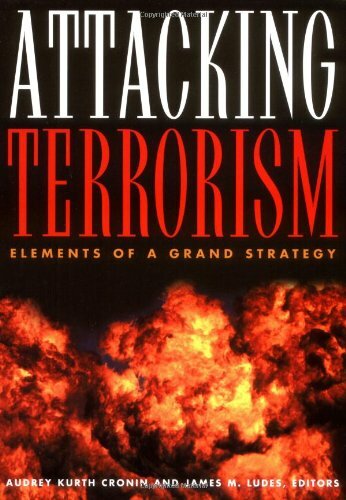 I like to use his book with my students because it graphically demonstrates the dynamic interaction between ‘terrorism’ and ‘insurgency.’ It also paints a grand strategic picture beyond what was happening on the ground that helped to shape what it meant to win. This book will persist well into the 21st century. 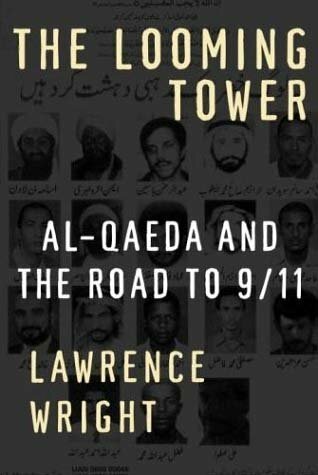 Tell me about your next book, The Looming Tower: Al-Qaeda and the Road to 9/11, by Lawrence Wright. This is the best of all the books about the rise of al-Qaeda, culminating in the attacks of 9/11. I think reading this one book gives you an excellent grasp of the human story and the context from which al-Qaeda emerged. Wright talks about the development of extreme Salafist Islamist thinking, the origins of al-Qaeda, the transition from the war against the Soviets in Afghanistan to the 9/11 attacks. He also tells the story of those in the CIA and FBI who saw the growth of the movement and tried to meet the threat, but without the bitterness and personal agendas of some of the tell-all accounts. Wright’s book is written in an engaging style, engrossing and entertaining but well-researched, based solidly on facts, and never sensationalistic. There is also a very nice appendix with a summary of the main characters, a big help for those who find it difficult to remember Arabic names. My students consistently love it. There is a reason why The Looming Tower won the Pulitzer Prize. It is a very fine book. 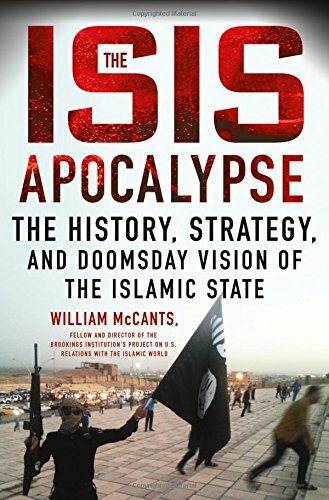 Let’s go on to William McCants’s The ISIS Apocalypse: The History, Strategy, and Doomsday Vision of the Islamic State. After the dramatic sweep across Iraq last summer, authors churned out a lot of books of variable quality, analyzing ISIS. This is the best book on ISIS I’ve read. It explains the group’s ideas, history, and structure in an in-depth scholarly way that is nonetheless accessible to the novice reader. Most important, it dissects the apocalyptic narrative that ISIS puts forth, particularly the view that their mission is to bring on the “end times.” Anyone who argues that the best way to fight this threat is by putting hundreds of thousands of Western troops on the ground should read the section on ISIS’s belief that the Apocalypse will be brought about by a major battle between ISIS and the so-called Army of Rome —meaning non-Muslim westerners—on the plains of Dabiq (which is a small town in northwestern Syria). We would be increasing their ability to recruit and likely prolonging their lifespan if we played into their narrative that way. What did you choose as book no. 5? 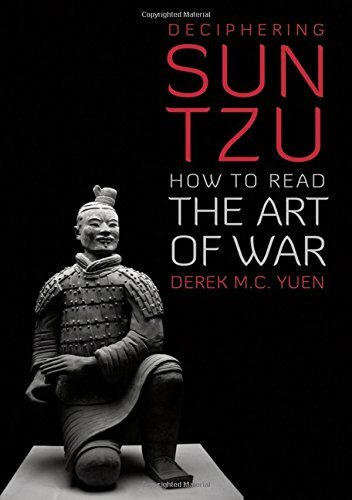 My last book is Derek M. C. Yuen’s Deciphering Sun Tzu: How to Read The Art of War. This may seem a departure from my books on terrorism; however, I believe it is a complement to them. Understanding the Daoist philosophy at the heart of Sun Zi’s writings provides a great lens through which to understand the logic of terrorism. Terrorist attacks are used for leverage against a state. Having emerged from an era of air power and nuclear theory, Westerners tend to think strictly in terms of coercion and compellence, missing the strategic logic of leveraging weak tactic. 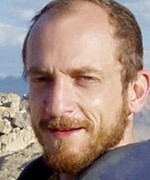 As I’ve written elsewhere, the most effective terrorist strategies are provocation, polarization and mobilization—that is, forcing a state to over-react and undermine its own interests, dividing populations so that there is no governable middle or taking actions against a target that are actually intended for an entirely different audience. Terrorist groups throughout history have used each of these strategies well. They take advantage of a state’s vulnerabilities. The key in counterterrorism is to leverage the enemy’s weakness rather than allow it to exploit yours. In my own work, I found that reading Sun Zi and then thinking about Yuen’s Daoist interpretation of his ideas shed light not only upon modern Chinese strategic thinking but also the strategies of terrorism. And what about you, considering all your research and work, do you think there is any progress in bringing about the demise of terrorism? Not the demise of terrorism per se, but I think that we made progress at crafting a broader, more strategic approach to the demise of al-Qaeda. The US started out immediately after September 11 in a way that was consistent with how many democracies respond after a traumatic terrorist attack. We struck back hard, over-emphasizing military force. It was an instinctive response and, if you look at the history of counter-terrorism, not unusual. But as the years went by, we gained sophistication in understanding the enemy, the leveraged nature of this kind of violence, and the need for a much broader range of types of counter-terrorism. 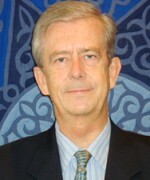 This included everything from aid and diplomacy to developing local partnerships, cooperating with allies in intelligence, distinguishing between elements of the ‘movement’, developing de-radicalization programs, and to even, in some circumstances, working with local partners to engage in negotiations with nationalist groups. We made progress by using this range of instruments. As the years went by, there were clear signs of Al Qaeda’s implosion, by which I mean internal weaknesses, in-fighting, ideological bickering, loss of operational control, targeting mistakes and loss of popular support. But we gradually overemphasized our paramilitary tools, such as drone strikes and direct action, drawing anger back on us and ignoring the broader strategic consequences. Unfortunately, because of the Syrian civil war and harsh treatment of Sunnis by the post-occupaton Iraqi government, ISIS dramatically arose and became a successor to Al Qaeda. ISIS has been responsible for horrible violence, not least the tragic deaths of so many innocent people in Paris. How can we not be both anxious and angry? The danger is that we will now fail to analyze ISIS’s vulnerabilities—to think about how it will end, how best to help it along to its demise—instead making short-term policy decisions mainly on the basis of our rage.